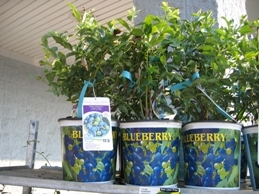 Blueberry bushes are available at local retailers or by mail-order. Fall is the ideal planting time. Blueberries can be grown in home gardens anywhere in North Carolina if the right species and proper soil modifications are used. This leaflet covers the basic growing requirements for homeowners interested in growing blueberry bushes for personal use. This one page quick reference will guide you through the very basics of blueberry production from soil requirements to pruning. What do North Carolina home gardeners need to know about spotted wing drosophila? This Q&A offers insight into why the spotted wing drosophila (SWD) is a threat to soft-skinned fruit, where they can be found and how they can be managed.